I wanna know: How deep is that snow? It’s official, and it really should not come as a surprise. 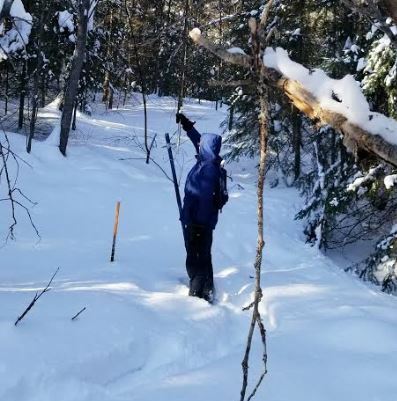 The average snow depth of 71 cm measured at three snow survey sites just east of West Nipissing has set a record for this time of year. The results are based on measurements taken since 1988 as part of the North Bay-Mattawa Conservation Authority (NBMCA) Flood Forecasting and Warning Program. 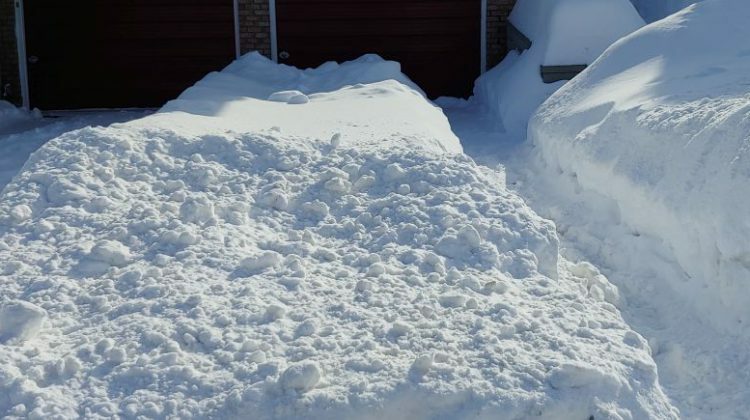 “The average snow depth for all sites is 71 cm (172% normal) and average water equivalence is 110.7 mm (136% normal),” said Joel Harrison, NBMCA’s Water Resources Scientist. 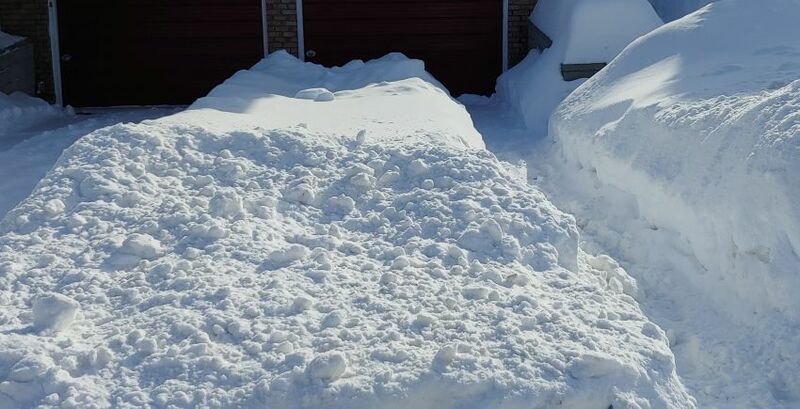 The average snow depth at this time of year in 2018 was 37.9 cm and water equivalence was 64.3 mm. Snow is measured for depth and water equivalence in North Bay, Corbeil and Chisholm Township. At just the North Bay Golf and Country Club, the snow depth is lower than the average of the three sites, at 64.3 cm. This is below the record for that spot, 67.8 cm in 2001. The location along the Chippewa Creek Watershed also returns a normal value of 91 mm for this time of winter.